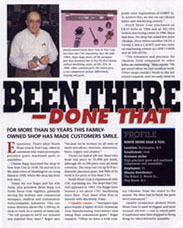 North Shore Gear & Tool Corporation is a third generation, family owned business. Our level of experience and commitment is second to none in the industry. North Shore's staff of degreed engineers have the expertise that comes from over 50 years of satisfying customer requirements in every field of endeavor. For Precision Gears, Assemblies and Machined Parts, North Shore is your expert source for all operations on all materials - contact us with the requirements for your next project. We have been into CNC machining since the mid 1980's. 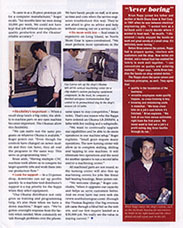 Recently we were featured in the summer 2000 edition of Machining Today.